This week the Madrid Pride celebrations will be held and Eurovision fans will be able to enjoy the performances from some familiar faces related to the Eurovision Song Contest. The line-up features lots of national final participants and former Eurovision representatives. Madrid Pride has become one of the most popular celebrations in Spain and every year it brings together nearly two million people in the main streets and squares of the capital city. 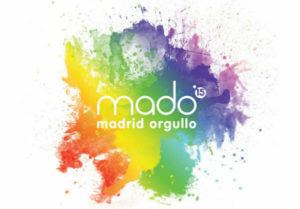 The 2015 Madrid Pride will be held between the 1st and the 5th of July in the Spanish capital. The stage in Plaza de Chueca hosted the opening speech today, on Wednesday the 1st of July and a series of outdoor concerts will be held during the week. This year, a great number of well-known former Eurovision representatives and national finalists (and maybe future representatives as well) are lined up to perform in Plaza de Callao, a place that will offer concerts and other activities for all kind of audiences. Stay tuned on EuroVisionary for upcoming photos and videos from Madrid Pride 2015.